A family run firm established in 1974. Our team has extensive experience and the expertise to offer you a professional friendly service. 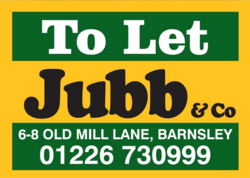 Welcome to Jubb & Co. We are a family run firm established in 1974. Our team has extensive experience and the expertise to offer you a professional friendly service. We understand the needs of both landlords and tenants and aim to make the whole process as simple as possible. Our offices are located on the edge of Barnsley town centre. We manage properties in throughout South Yorkshire, focusing mainly on properties in Barnsley and the surrounding areas. 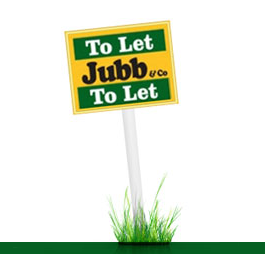 Unlike most estate agents, who sell houses and conduct rental and property management as a sideline, we at Jubb & Co concentrate and specialise in residential lettings and property management, we do not sell houses. The staff at our office have a combined total of over 100 years in the property management field. If you are a landlord or tenant you can be confident that you will receive a highly professional and knowledgeable service. Our membership of the Association of Residential Letting Agents, The Residential Landlords Association, Safe Agent, The Property Ombudsman and The Dispute Service Scheme means that we have to abide by a robust code of practice. This covers the key stages in lettings and managing a property. There are comprehensive membership byelaws which include compliance with issues such as handling and accounting for clients money, mandatory clients Money Protection Scheme membership, professional indemnity insurance, dealing with complaints and disciplinary procedures. We are required to employ a minimum of at least one member of staff, who holds a suitable industry qualification recognised by the Associations. Our staff are constantly undertaking training to ensure they are up to date with the constant changes in legislation and regulations. By taking care of the whole process, from viewings and applications through to final check outs and bond handling, we aim to achieve lettings that perfectly meet the requirements of both the landlord and tenant. Got a property you would like to rent? Why not request a free no-obligation market appraisal of your property?